We’d love your help. Let us know what’s wrong with this preview of The Wrong Path by Pamela Humphrey. A Short Story: Becca Wilson ignores logic, follows her gut, and sets off on an adventure. What happens when her road trip doesn't go as planned? 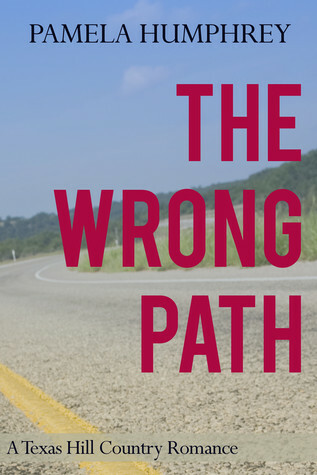 To ask other readers questions about The Wrong Path, please sign up. What a charming story! Short and sweet but well nuanced--I rapidly "knew" the characters and wept and rejoiced with them. But, bummer, didn't get to find out if the blonde bimbette got her comeuppance. The Blue Reboso - Another heartwarming, interesting story using an ancestor from the author's own family as the main character. There are two actually, the Reboso plays a important part in the story. Well written and interesting in the telling of time history and the perils and struggles faced by people then. The characters are developed enough to be interesting and you root for them. The storyline is well developed and I feel I'm there with the family as the story unfolds. A job well done with The Blue Reboso - Another heartwarming, interesting story using an ancestor from the author's own family as the main character. There are two actually, the Reboso plays a important part in the story. Well written and interesting in the telling of time history and the perils and struggles faced by people then. The characters are developed enough to be interesting and you root for them. The storyline is well developed and I feel I'm there with the family as the story unfolds. A job well done with blending fact and fiction. I chain read these three stories and couldn't put any of them down until I was finished. It helps to read Just A Friend before reading Finding Kate, but it's not necessary. Love at First Sight Short. The gal has an arresting experience. Such a sweet, enjoyable story! I read this after finishing Finding Claire, and found it to be a wonderful companion. Becca is such a sweetheart and her story still has me smiling days later. Pamela Humphrey was inspired to write after researching her genealogy. Intending to create a booklet for her mom and immediate family, she set about gathering stories and pictures of the Ramirez family. She ended up writing her first book, Researching Ramirez: On the Trail of the Jesus Ramirez Family, a family history of her great great grandfather’s family. During that research, she found a chris Pamela Humphrey was inspired to write after researching her genealogy. Intending to create a booklet for her mom and immediate family, she set about gathering stories and pictures of the Ramirez family. She ended up writing her first book, Researching Ramirez: On the Trail of the Jesus Ramirez Family, a family history of her great great grandfather’s family. During that research, she found a christening record that ignited her imagination. Using the documentation she’d found as a backbone for the story, she imagined what life was like for her ancestors and wrote The Blue Rebozo, a fictional account of her great grand aunt’s life.